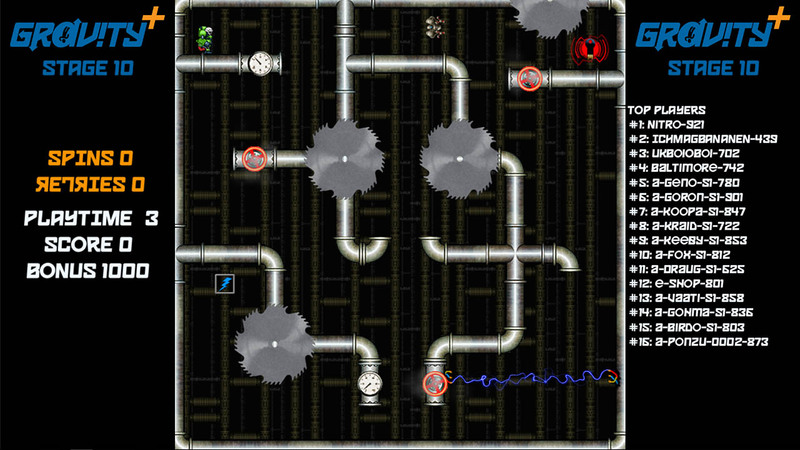 Adventure mode offers a variety of levels that each offer unique challenges. Navigate your way through the the lake, river, and ocean to reclaim what is rightfully yours. The game-play consists of eating the fish smaller than you, to get bigger and conquer the ocean. There are power-ups along the way too! At the beginning and ending of each level, you can see everyone’s experience with Plenty of Fishies with Miiverse integration, where Miiverse posts are shown IN the game! Who knows, yours may show up next! 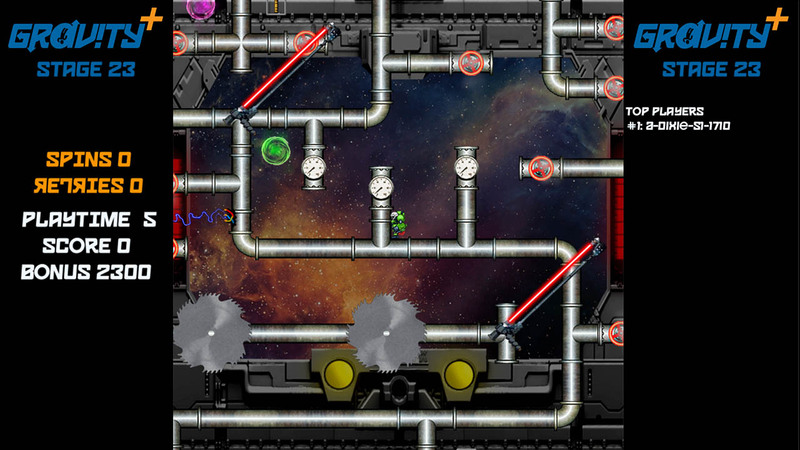 Each level has a built in challenge mode as well. Try to beat each level with up to three stars. Can you complete every level with all three stars each?? Post your results to Miiverse from within the game! 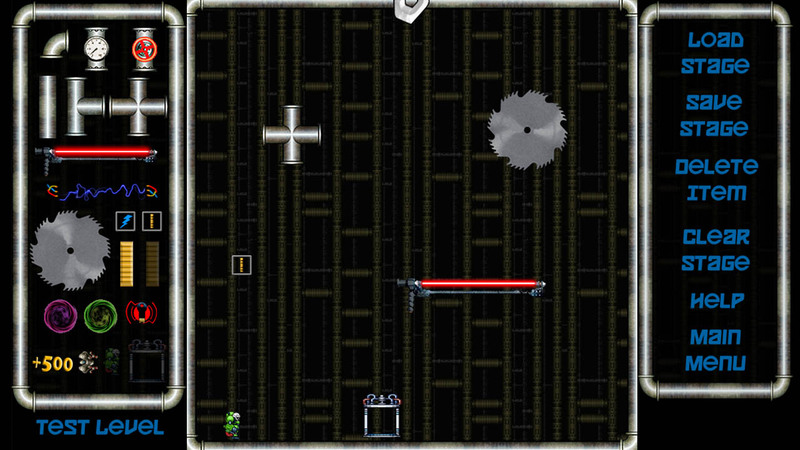 This mode will challenge you to beat every single level in a single seating… calculate your score based on total time, amount of deaths, and bonuses you obtained along the way for a grand score which you can share with the world. Does the US have the best player? What about Australia? Europe? Lets find out! 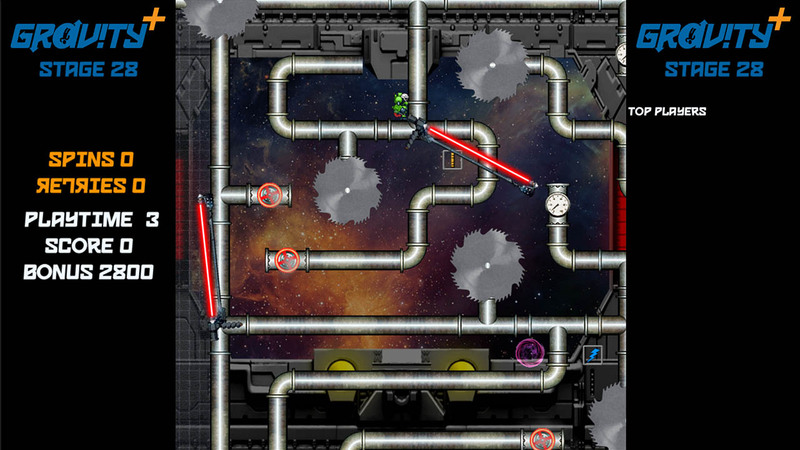 Think you’ve got what it takes to make your own levels? 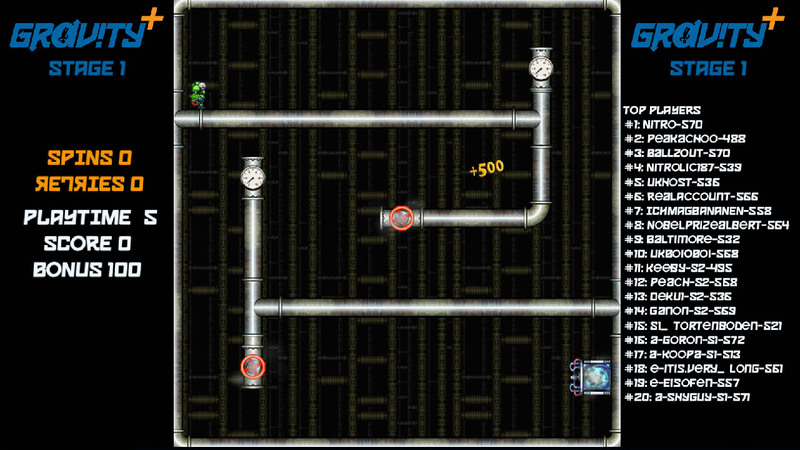 A level editor is available for download where you can create your own levels and share them with the world! 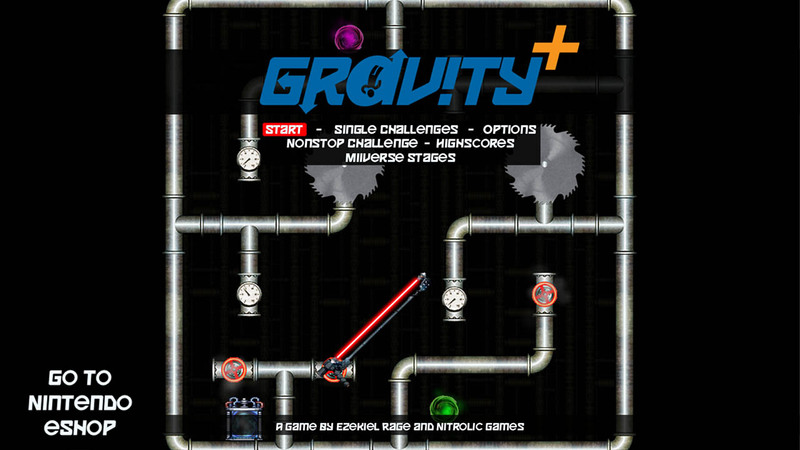 Other Gravity+ users do not require the DLC in order to play your levels, and everyone can rate, comment, play, and more directly from within Gravity+! 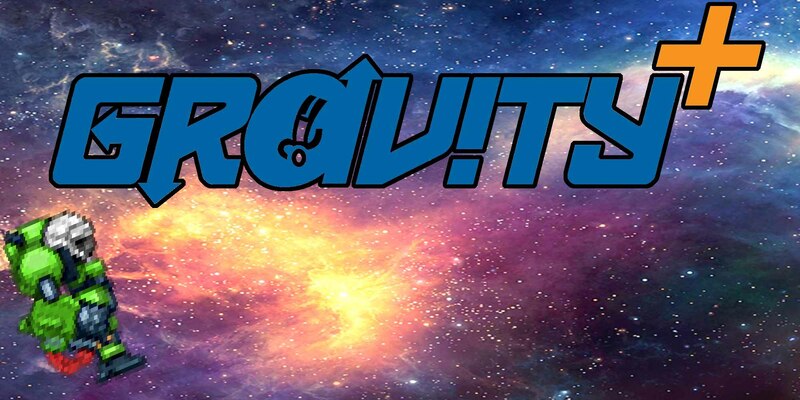 There will be hundreds if not thousands of levels for you to try out when you play Gravity+ with the endless supply from Miiverse. 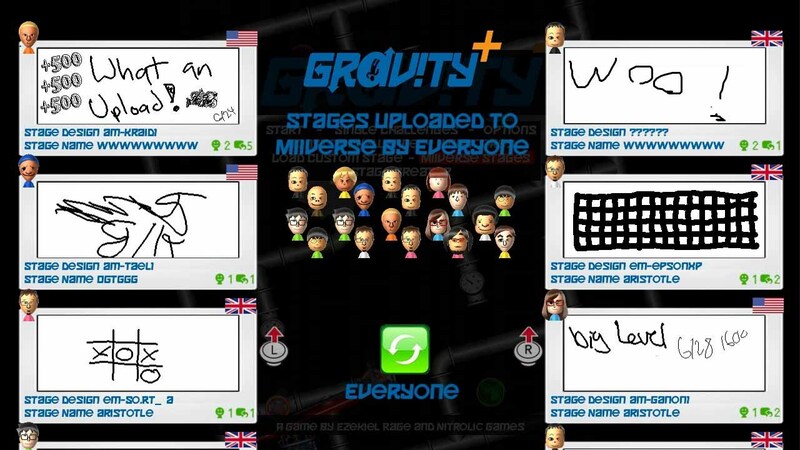 You don’t even need to launch Gravity+ to see the levels available… everything can be done from either in Gravity+ OR Miiverse directly! Gravity+ will be fun for the entire family!